Just ran across a recently released Gallup poll that indicated more than nine in ten Americans continue to believe in God. – The percentage of Americans who say “yes” when asked if they believe in God has remained more or less steady since the 1940s. – Given the ability to express doubts about their beliefs, the percentage who profess certainty in God’s existence drops into the 70% to 80% range. – When Americans are given the choice between saying belief in God or in “a universal spirit or higher power,” 80% choose the former and about 12% opted for the latter. 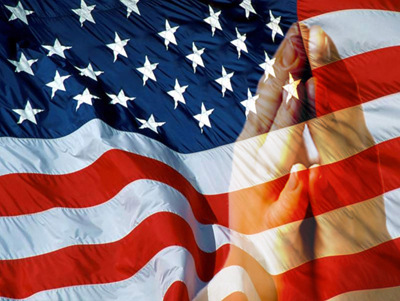 – Although the percentage of God-fearing Americans is relatively high, the number of Americans who identify with a particular religion has dropped. Throughout the 1950s, almost all Americans identified themselves with a particular religion. In recent years, more than 1 in 10 Americans report they have no formal religious identity. 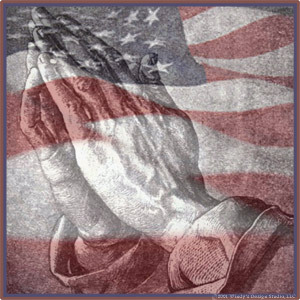 – Those under 30 are significantly less likely than older Americans to say they believe in God. – Regionally, the data confirm the religious potency of the “Bible Belt,” with Southerners 10 points more likely than Easterners to say they believe in God. – A 2003 Gallup poll, which looked into the role of religion in the U.K., the U.S. and Canada, found that when asked about the importance of religion in their own lives, 83 percent of Americans said it is either “very important” (60 percent) or “fairly important” (23 percent). Those numbers take a dive north of the border: 62 percent of Canadians said religion is very important (28 percent) or fairly important (34 percent) to them. In Great Britain, however, less than a majority — 47 percent — said that religion is important in their lives. Only 17 percent of Britons consider it very important, and 30 percent feel it is fairly important. – The same European survey showed Turkey and Malta to be the only European countries on par with America’s figure of over 90 percent of citizens believing in God. – 38 percent of British respondents to the Eurobarometer survey said they believed in God, as did 34 percent of French respondents.